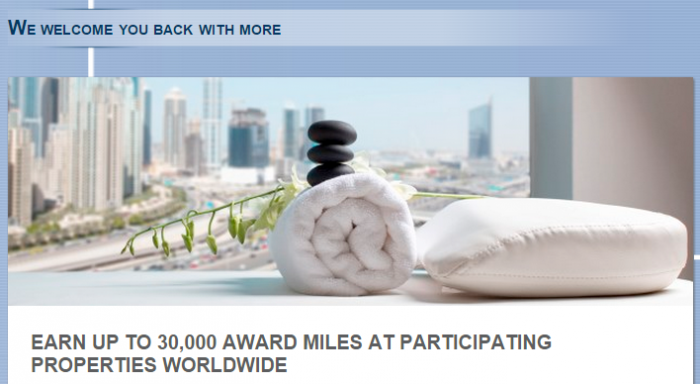 Le Club Accorhotels has launched a new bonus miles offer for Air France-KLM Flying Blue members. The offer is for up to 2,500 bonus miles per stay between August 28 – October 15, 2015. Note that this offer is not valid for stays at ibis brand (ibis Styles stays are eligible) or hotels in China. This promotion works for those that have quite a few Le Club Accorhotels stays coming up during the late August and mid October. Let’s hope that similar Aeroplan offer would return as well. This offer is available to Le Club AccorHotels members for all stays between 28 August and 15 October 2015 at participating brands including Sofitel, Pullman, Mercure, MGallery, Novotel, Suite Novotel, ibis Styles, Adagio and Adagio Access. Please note that you will earn up to 60,000 Le Club AccorHotels points that are automatically converted to Flying Blue Award Miles provided you select this option. The offer is valid in all Le Club AccorHotels participating hotels except ibis hotels and hotels in China. You will benefit from 1,000 points from the 1st to the 5th stay, 2,000 points from the 6th to the 10th stay, 3,000 points from the 11th to the 15th stay, 4,000 points from the 16th to the 20th stay, 5,000 from 21st to 22nd stays. Not yet a Le Club Accorhotels member? Sign up now and be sure to select Flying Blue as your preferred airline programme and enter your Flying Blue membership number to convert your points into Award Miles after your stay. 1. General Le Club AccorHotels terms and conditions apply to the “AccorHotels welcomes you back with more” offer and you must be Le Club AccorHotels member to benefit from it. 2. This offer is valid for a stay from 28/08/2015 and 15/10/2015 in one of the participating hotels except ibis hotels and hotels in China, and booked between 28/08/2015 and 15/10/2015. 3. This offer entitles Le Club AccorHotels Loyalty members, regardless of their status, to benefit from earning 1,000 points from the 1st to the 5th stay, 2,000 points from the 6th to the 10th stay, 3,000 points from the 11th to the 15th stay, 4,000 points from the 16th to the 20th stay, 5,000 from the 21st to 22nd stays. 4. In order to benefit from this bonus, the member must have activated Flying Blue as preferred conversion option ahead of the stay. 6. Any consecutive stays (check-out and check-in the same day) in the same hotel, will be considered as a single stay. This single stay will be eligible once to the “Accorhotels welcomes you back with more” offer. 8. To benefit from this offer, your booking must be made on Accorhotels.com or our participating brands web sites or via Accor call centers. All other reservation channels will not be eligible to this offer. 10. Le Club Accorhotels bonus points are credited to the member’s account within 10 days following the end of his/her stay and converted within 6 weeks into Flying Blue according to applicable conversion rule. 11. The offer may be modified and interrupted in whole or in part at any time and without prior notice.